Osteria Mozza by celebrity chefs Mario Batali, Nancy Silverton and Joseph Bastianich have long been renowned for exquisite Italian fine-dining. 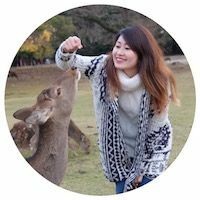 The restaurant used to only operate during dinner hours but due to overwhelming requests, they have decided to take on weekend lunch which runs from 12pm - 330pm on Saturdays and Sundays. 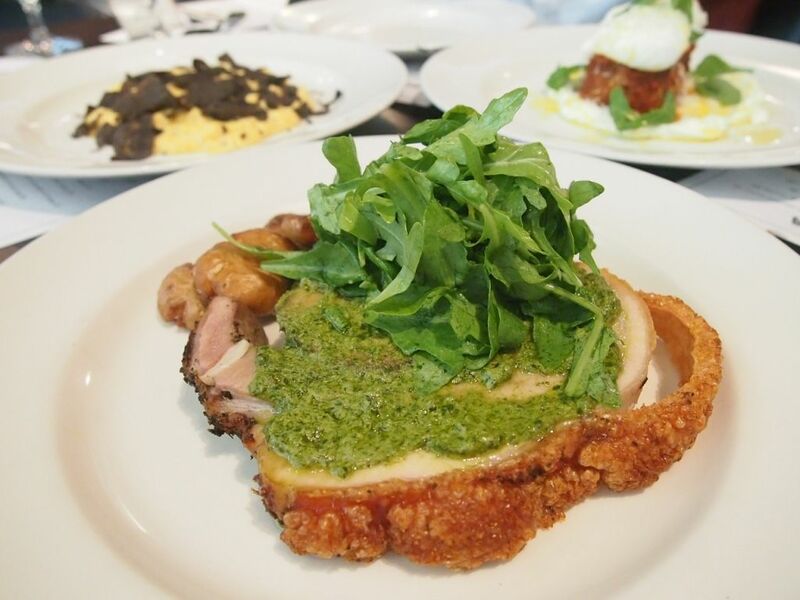 The lunch options are largely wallet-friendly and they even have a three-course set lunch ($48) comprising a starter, pasta and dessert which is really affordable and well worth every penny. 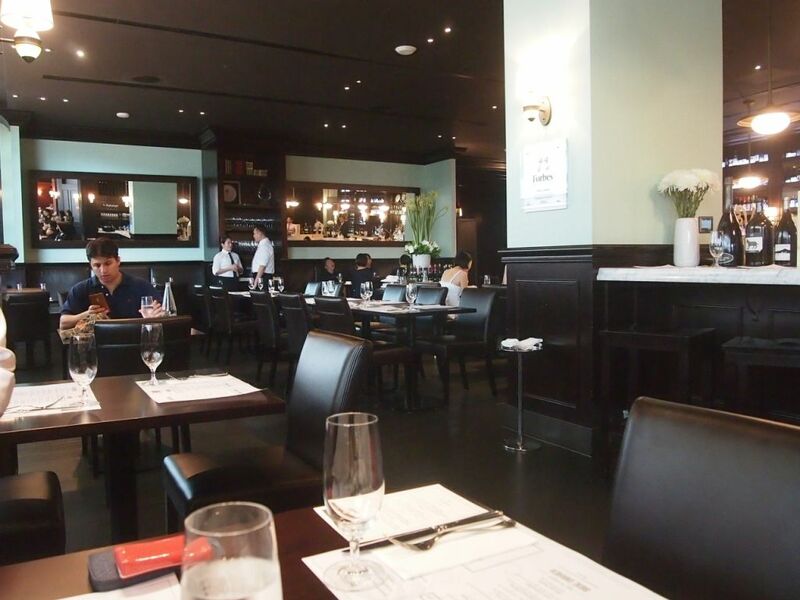 With the white table cloths gone, the restaurant exudes a more laidback and casual ambience. Raw salmon is cured in-house with salt, sugar and dill for 12 hours before it is washed and brushed with vodka. 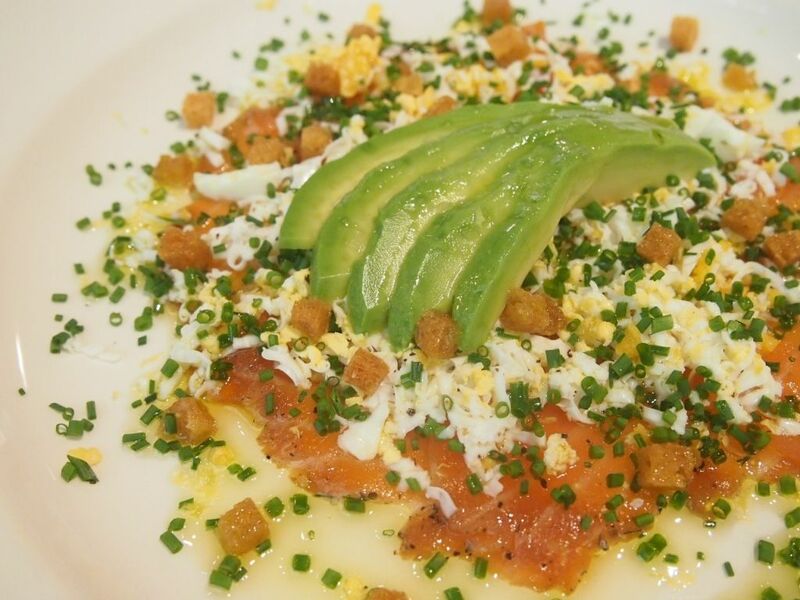 It is then served with lemon zest, chives, croutons, shaved hard boiled eggs, avocado, sea salt and lemon olive oil. The ingredients seem simple but they all work really well together to accentuate the flavour of the salmon. The Bufala Mozzarella with Prosciutto di Parma had me at hello. I went "oh my, is this how heaven looks like?" 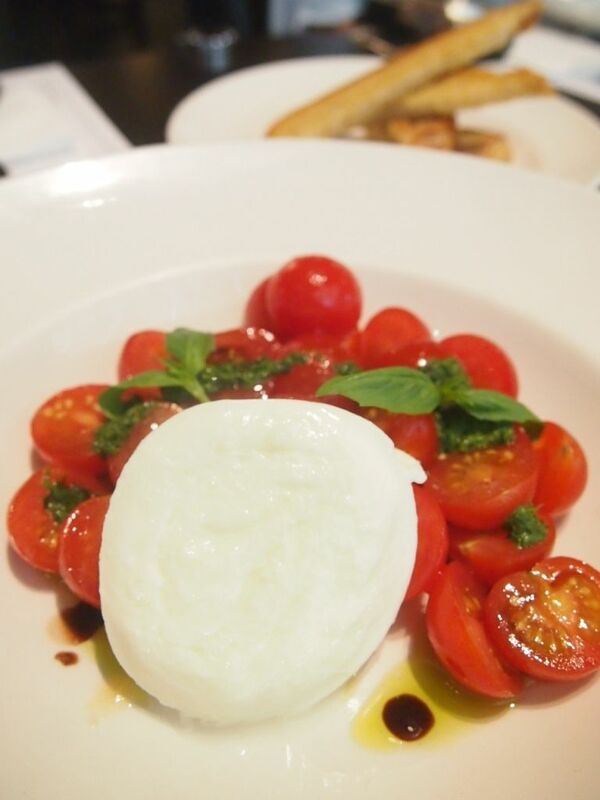 I'm not a big fan of cheeses in general but I do have a weakness for buffalo mozzarella. 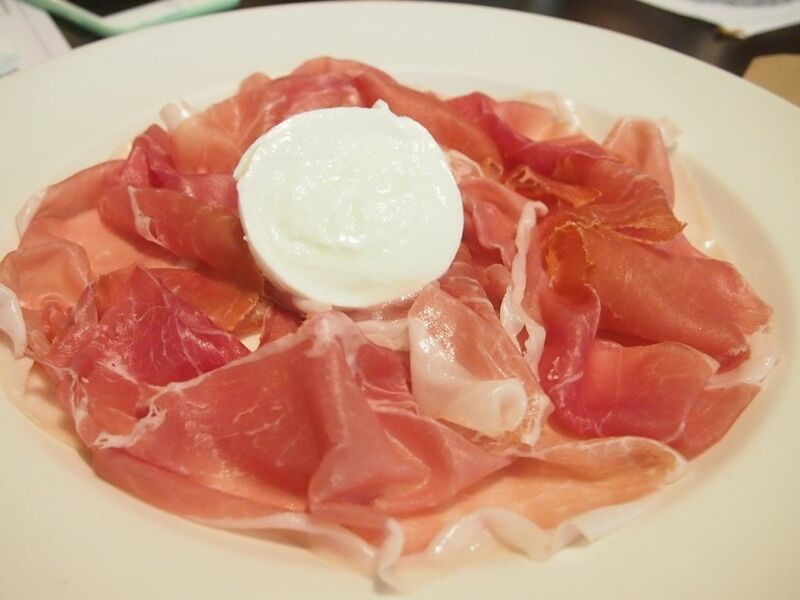 What more, fresh hand-pulled mozzarella with my favourite Parma ham? I couldn't help but reach for repeated servings! The light and creamy cheese balanced out the saltiness of the ham and it was a truly faultless union. I can wolf down two plates of this myself easily! Featured here is a flawless blob of mozzarella with a great texture coupled with sweet vine-ripened tomatoes and basil pesto. The tomatoes almost stole the limelight from the cheese as everyone couldn't stop raving about how delicious they were. 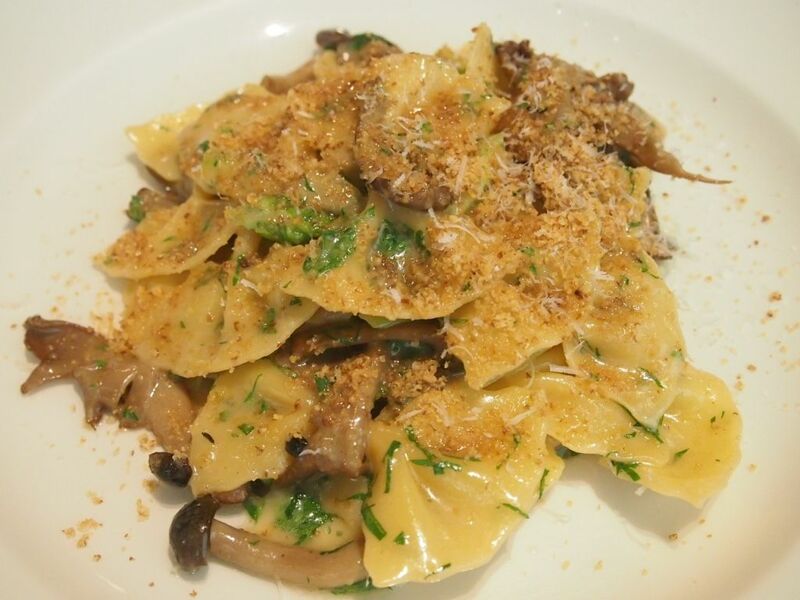 How does perfectly al dente house-made farfalle tossed with a medley of wild mushroom, asparagus, thyme and parsley in a tasty mix of garlic and butter sound? A generous sprinkling of grated walnuts graces the dish as a final touch and I know this might look like an easy dish to whip up but it was really palate-pleasing. While it might have been a tad oily, it was immensely enjoyable. I feel that the pasta options here are very reasonably priced and you can even enjoy them as part of the 3-course set lunch which goes at just $48. 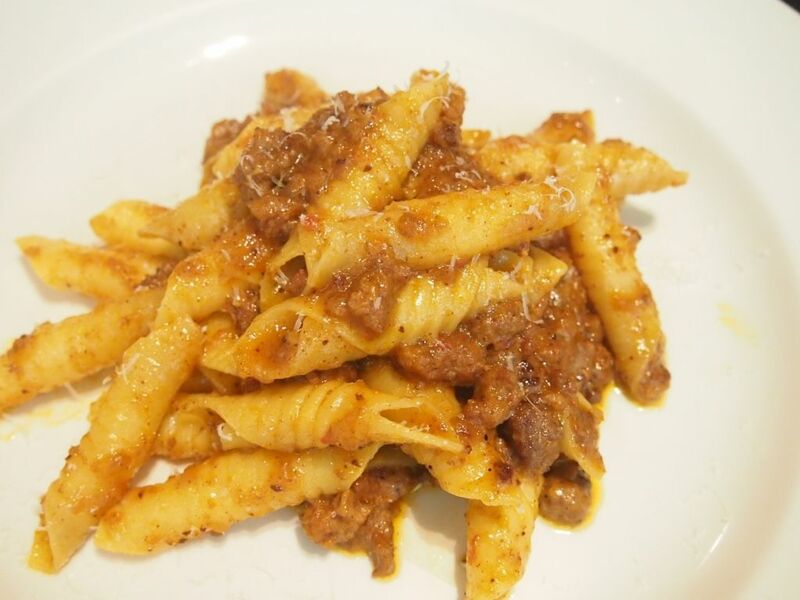 The ragú Bolognese is meticulously prepared with twelve different ingredients. It is armed with a rich tomato flavour and quite a generous portion of meat. Not to mention, the house-made garganelli had a superb texture. It's not easy finding such good pasta in Singapore. Most places have problems even perfecting the execution of just the pasta alone. The texture of the garganelli alone, already stole my heart. I did find the dish a little too salty but it was still a splendid creation overall. 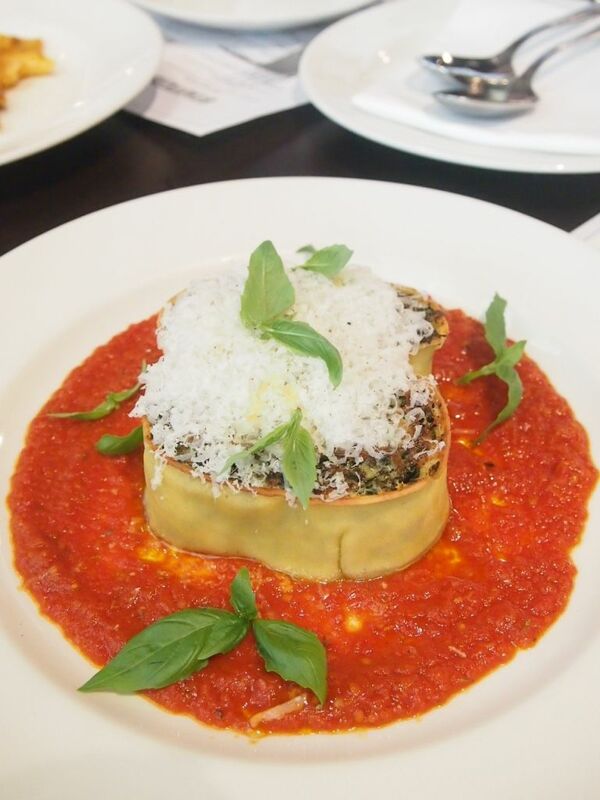 Two sheets of pasta are covered with housemade ricotta, spinach, parmesan and pecorino before being rolled and tied. They are then gently poached for 45 minutes, cooled and pan-seared. A trip to the oven ensues before they are placed on the plate, surrounded by tomato sauce and topped with grated parmesan. Learning that the rotolo had a high composition of spinach made me cringe and while I was reluctant to try it, I'm glad I did. I was secretly amazed at how great it tasted but didn't want to admit that because there was spinach in there! The taste of the spinach was largely masked by the tomato sauce and cheeses and this was in all honesty, a unique and satisfying pasta option. Scrambled with butter, salt, pepper, cream cheese and creme fraiche, the eggs were more than a delight to tuck into. It was rich but not overwhelming, creamy but not too heavy. 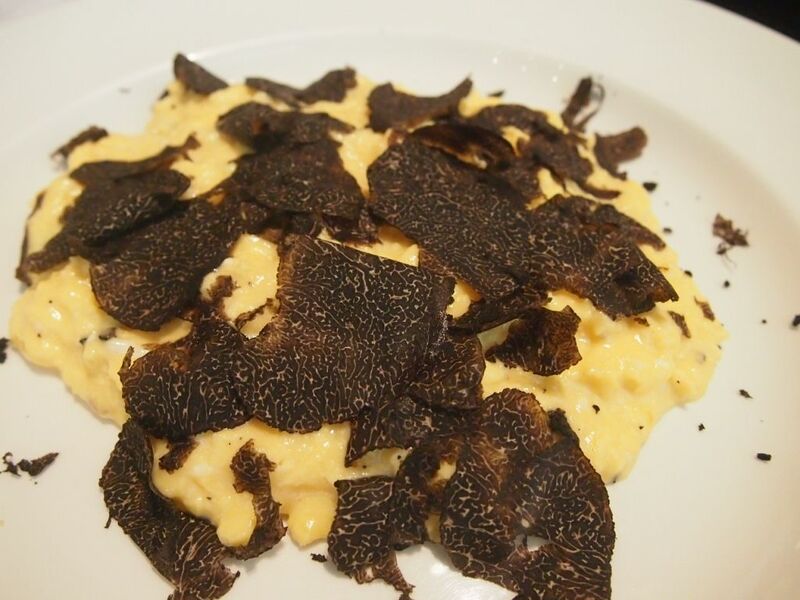 And just look at those gorgeous winter truffles! I could have this every single day! Of all the dishes, this might have looked the simplest, easiest to achieve and least impressive, but it was undoubtedly the highlight of my day. It's safe to say that I have fallen in love with Mozza's scrambled eggs. Where shall I begin? The surprisingly impeccable fried Rosemary potatoes or the slab of deboned pork belly crowned with a crisp crackling? The pork belly is seasoned with garlic, rosemary, sage and fennel pollen before it is rolled and roasted. The firm and juicy pork belly is then smeared with a herb-based salsa verde before a handful of arugula goes on top. 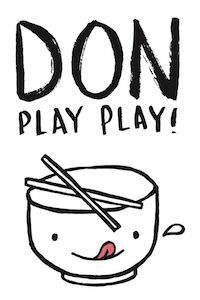 It's no wonder this is one of the most popular dishes here! Osteria Mozza’s version of 'Grandma's Pie' is a tart baked with mascarpone, cream cheese and goats cheese. 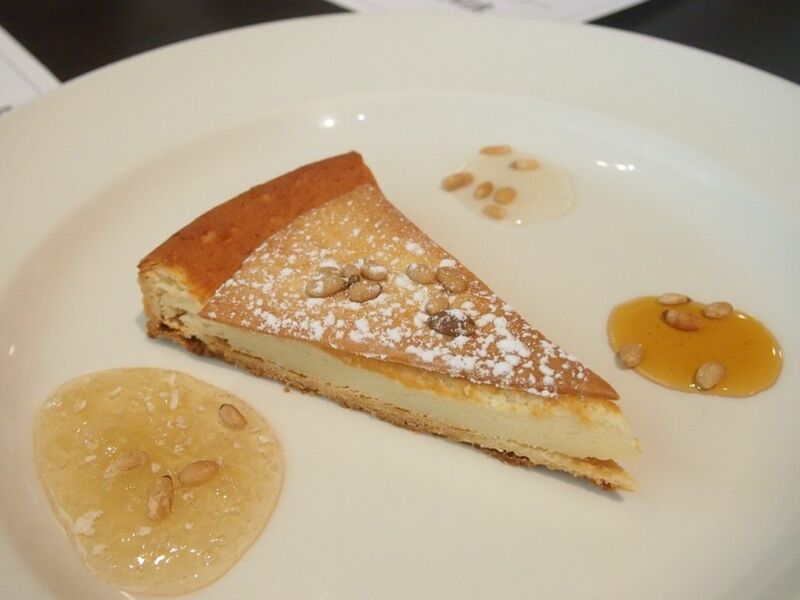 The warm tart is topped with a crisp pine nut biscuit and served with honeycomb honey, chestnut honey and acacia honey. Of the three honeys, I liked the acacia one best. The floral notes were beautiful. The cheese tart was a comforting treat, and does evoke nostalgia. Grandma's Pie is indeed, a very apt name. We rounded the amazing lunch up with a cup of coffee each. To be very honest, I didn't have high hopes for the coffee, as I don't with most dining establishments but Mozza does brew a mean cup of joe. 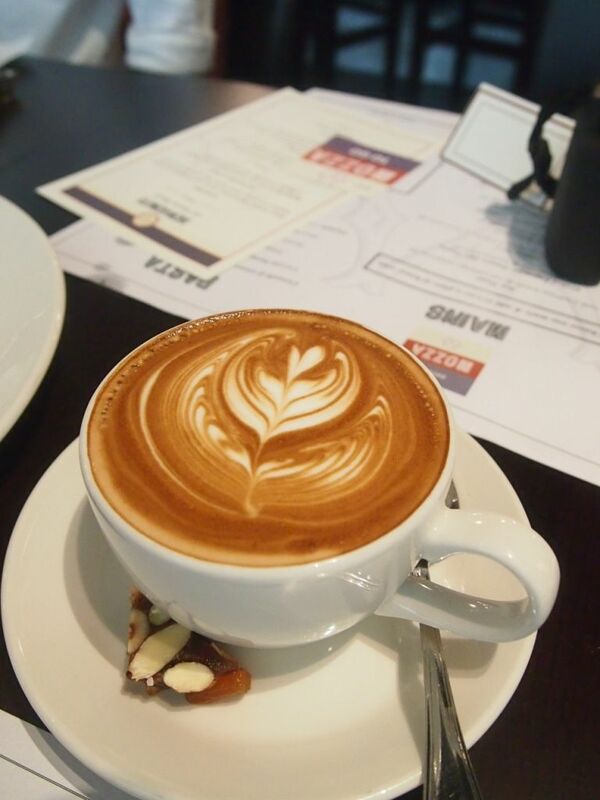 My latte was surprisingly robust and well-made. I had such a wonderful time and I loved that I could still go shopping at Marina Bay Sands after. 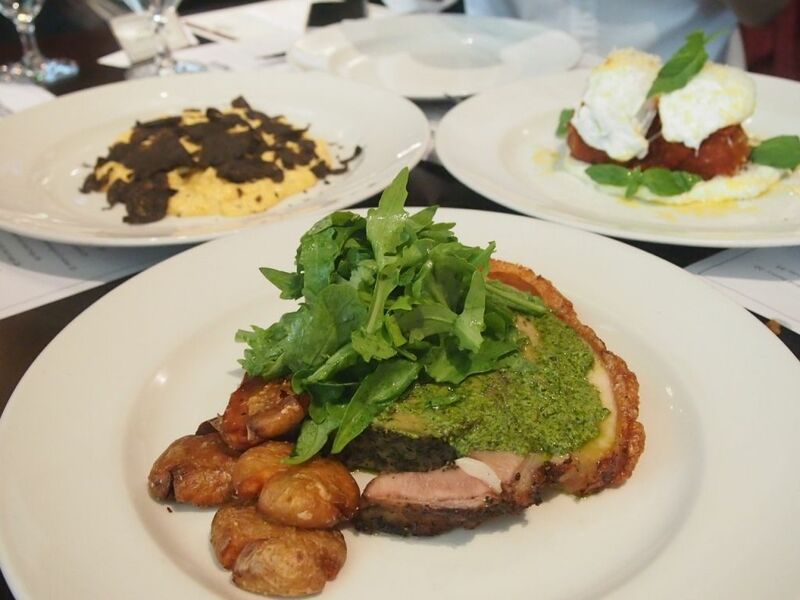 If you are looking for authentic Italian fare for lunch, you should really pop by the charming Osteria Mozza. On top of their set lunch menu, they also have a dedicated children's menu priced at $29. You won't be disappointed, I promise.